Front Runner Accessories for Roof Racks. Inc. VAT: £8.92 Inc. VAT: Info UK VAT charged at 20%. Ex VAT £7.43 Ex VAT Info Outside of EU and EU VAT registered companies only (not UK). Inc. VAT: £43.72 Inc. VAT: Info UK VAT charged at 20%. Ex VAT £36.43 Ex VAT Info Outside of EU and EU VAT registered companies only (not UK). Inc. VAT: £25.88 Inc. VAT: Info UK VAT charged at 20%. Ex VAT £21.57 Ex VAT Info Outside of EU and EU VAT registered companies only (not UK). Inc. VAT: £33.91 Inc. VAT: Info UK VAT charged at 20%. Ex VAT £28.26 Ex VAT Info Outside of EU and EU VAT registered companies only (not UK). Inc. VAT: £10.70 Inc. VAT: Info UK VAT charged at 20%. Ex VAT £8.92 Ex VAT Info Outside of EU and EU VAT registered companies only (not UK). Inc. VAT: £7.13 Inc. VAT: Info UK VAT charged at 20%. Ex VAT £5.94 Ex VAT Info Outside of EU and EU VAT registered companies only (not UK). Inc. VAT: £98.18 Inc. VAT: Info UK VAT charged at 20%. Ex VAT £81.82 Ex VAT Info Outside of EU and EU VAT registered companies only (not UK). Inc. VAT: £79.44 Inc. VAT: Info UK VAT charged at 20%. Ex VAT £66.20 Ex VAT Info Outside of EU and EU VAT registered companies only (not UK). Inc. VAT: £66.94 Inc. VAT: Info UK VAT charged at 20%. Ex VAT £55.78 Ex VAT Info Outside of EU and EU VAT registered companies only (not UK). 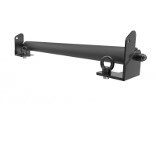 These Rack accessories allow you to carry a range of tools and implements on your Land Rover Roof Racks. Clip on shovels or carry Bikes, boats and a whole range of other bulky items.